Even if you're not a mad hatter, chances are you've heard of a fedora and have a general idea of what one looks like. By the same token, there's a good chance you've never heard of a homburg hat and probably couldn't pick one out of a lineup. Despite sharing a number of similarities, these two hat styles have taken decidedly different paths on the road to popularity. But that doesn't mean one style is inferior to the other. 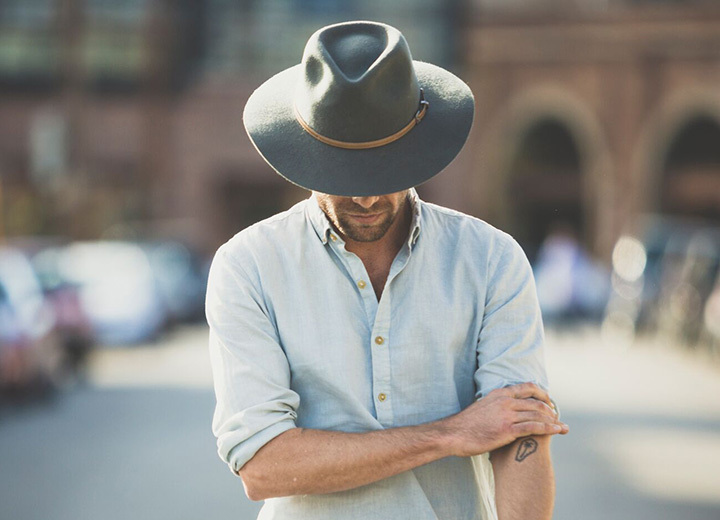 To brush up on the basics of the homburg hat vs the fedora hat, check out our guide below that's loaded with helpful information as well as the latest looks to shop. Then you can decide which style is right for you. The word fedora comes from the title of the 1882 play “Fédora" written by French dramatist Victorien Sardou. In 1889, the play was performed in the United States with renowned actress Sarah Bernhardt in the lead role. During the performance, she wore a soft-brimmed hat that had a center crease. Once this hat style hit Western audiences, the fedora quickly became an American favorite. As time went on, the versatile silhouette continued to grow in popularity, most notably in the early 20th century during the era of Prohibition. In the 1940s and 1950s, movie stars such as Humphrey Bogart further popularized fedora hats but none more so than Frank Sinatra. Still frequently referred to as the “Frank Sinatra hat," this classic style (not to be confused with the trilby hat) embodied the dapper lifestyle of the rich and famous. By the end of the 1960s, the fedora waned in popularity as people took a more casual approach to fashion. 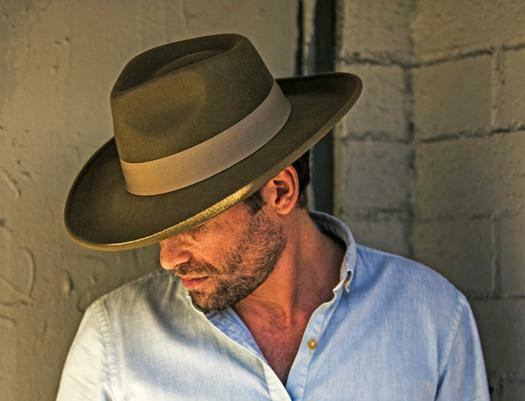 In the 1980s, the fedora resurfaced in pop culture thanks to Harrison Ford in Indiana Jones, the blockbuster adventure flick that showcased the hat in a much less formal milieu. Today, fedora hats are having a major moment not only as a men's hat, but also as a fashion statement for women. Homburg hats are named after the town of Bad Homburg in Hesse, Germany, a spa destination famous for its healing waters. In 1882, Edward VII returned to London from one of his regular jaunts to the region and was seen in Britain wearing a hat with a tall, rounded crown and upturned brim. From that moment on, the king was credited with creating a worldwide fashion sensation that proved to remain popular, particularly among politicians and dignitaries. In 1953, American president Dwight D. Eisenhower wore a black homburg instead of a top hat to his first inauguration and was seen wearing it on other occasions. 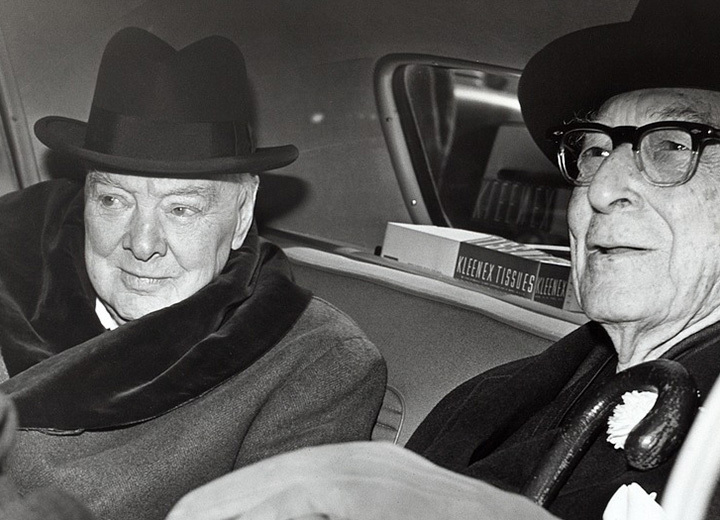 British Prime Minister Winston Churchill famously wore the homburg hat and further cemented it as an iconic men's hat style in the 1950s. Like other dress hats, the homburg was in low demand during the later part of the 20th century. However, in 1973 Al Pacino put the homburg back on the style map when he wore it in a little movie you might have heard of — that's right, “The Godfather.” Regarded as one of the greatest films of all time, it's no wonder that the homburg gained popularity and has since been known as the "Godfather hat." That said, the homburg has not held onto its popularity as much as the fedora, probably because it is a dressier hat and we are living in a much more casual world. Homburgs and fedoras look alike at first glance, but there are definite differences between the two including crown shape, brim shape, and taper. A fedora hat has a lower profile, a center-dent crown (typically a teardrop shape) with pinches on either side, and a brim that can range from a short brim to a wide brim. It also has a sharper taper on the front of the crown. 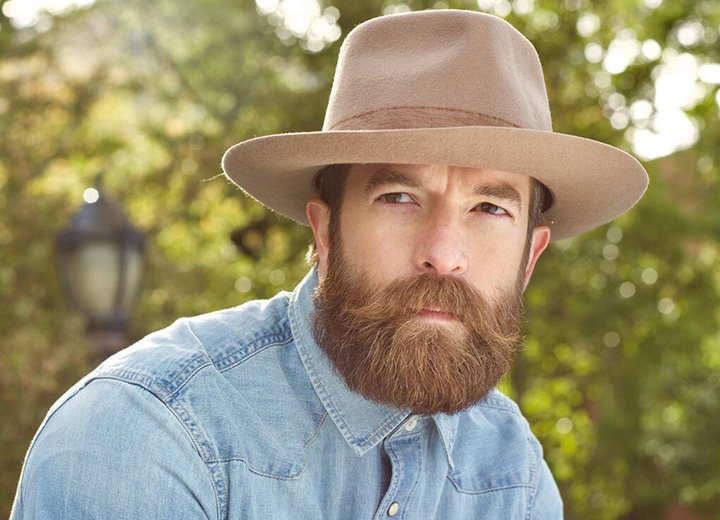 Like homburgs, fedoras were originally more formal headgear made of fur felt or wool felt, but today's versions are more than just felt hats — they come in materials ranging from straw to cotton to leather. Unlike the distinctive pinched sides of a fedora crown, the homburg has a tall round crown with a single center crease. 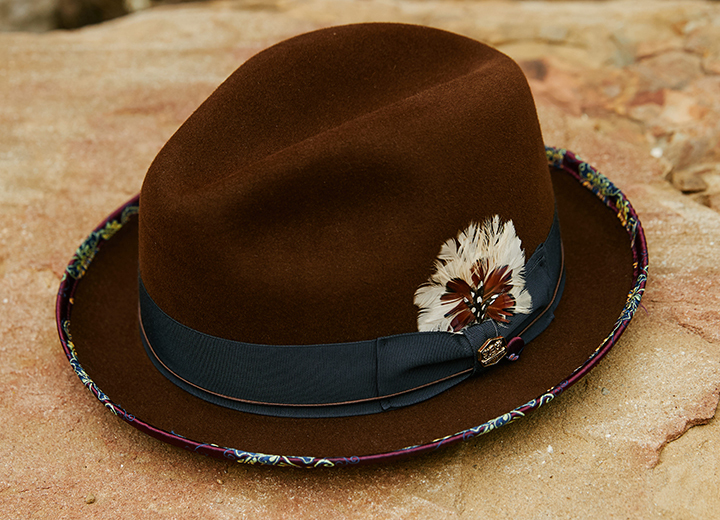 Also, the brim is turned up all the way around, creating a curled-up effect along the edges similar to a cowboy hat. Even though some homburgs are wide-brimmed hats, they appear to have a stingy brim because of this distinctive upturned style. 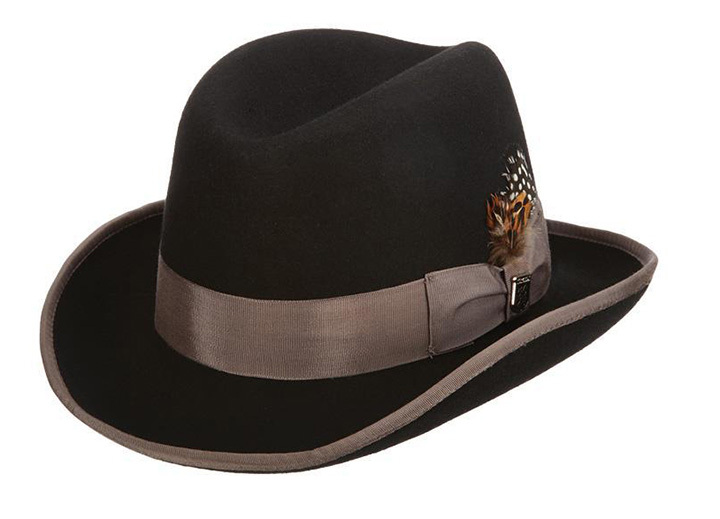 Like many fedoras, homburgs are often accented with a hatband that is topped with a feather. 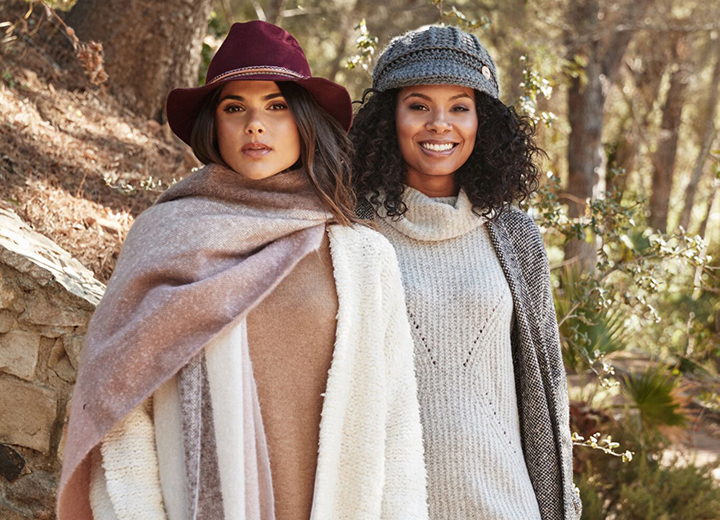 And while both hat styles come in a number of colors, neutrals such as black, gray, navy, and brown are still classics. There's no right or wrong answer when it comes to choosing a homburg over a fedora or vice versa. It's a personal choice that simply depends on how the hat looks on you, how it feels, and the occasion for which you are wearing it. For example, a fur felt homburg might be the perfect accessory for a black-tie affair while a straw fedora would pair perfectly for a casual outing. One thing to keep in mind: Proportion is key when it comes to wearing any hat. A hat's brim should be in proportion to your shoulders, so if the brim looks too small or too big, it probably is. 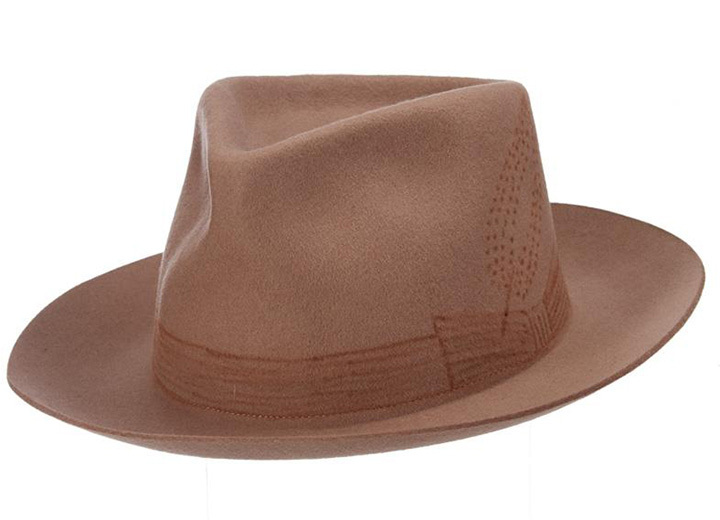 This straw hat is perfect for the guy who appreciates the homburg style. 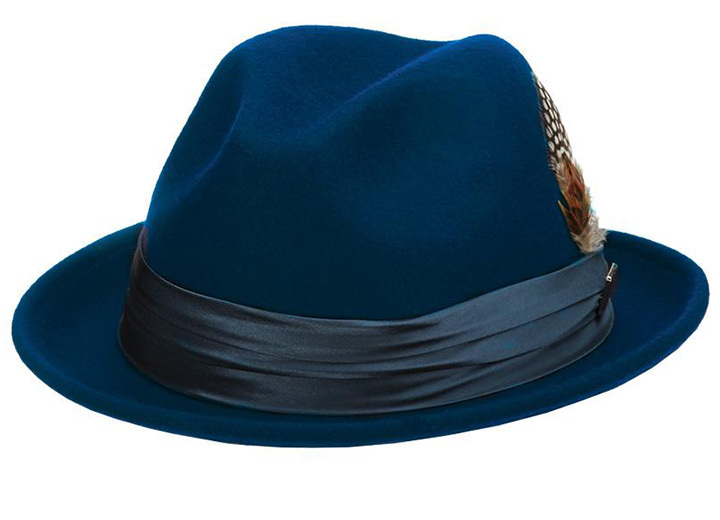 Constructed of Genuine Wool Felt, this homburg hat impresses with a Cotton Sweatband, and a 2-inch wide brim that will keep you shielded from the sun in style. 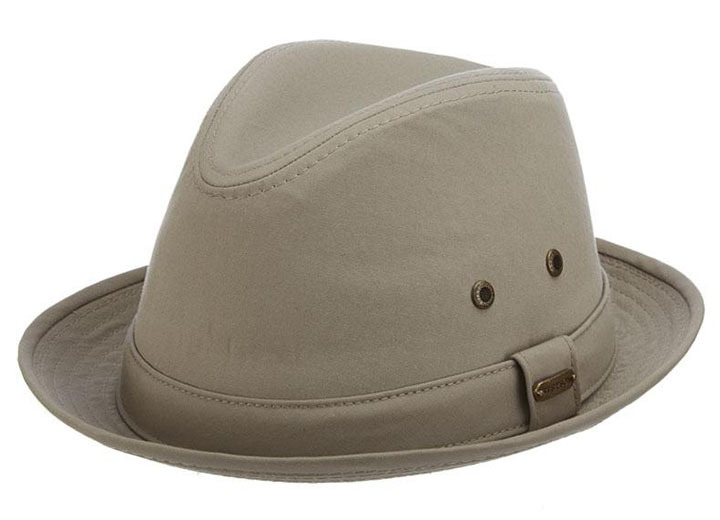 Proving that the homburg has come a long way from its ultra-formal beginnings, this waterproof cotton homburg designed by Stetson is just what you need for your next hike, camping trip, or day out on the water. The 2-inch brim won't interfere with any activity and the cotton sweatband ensures a comfortable experience. 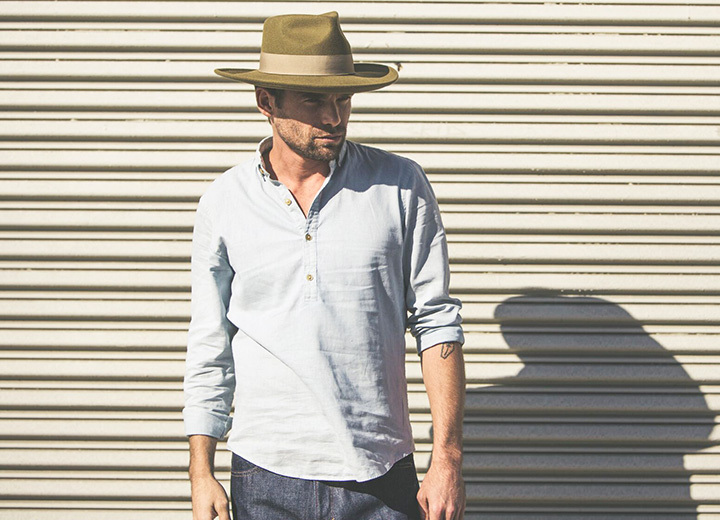 A great alternative to the typical baseball cap, try this in black, khaki (shown), or navy. 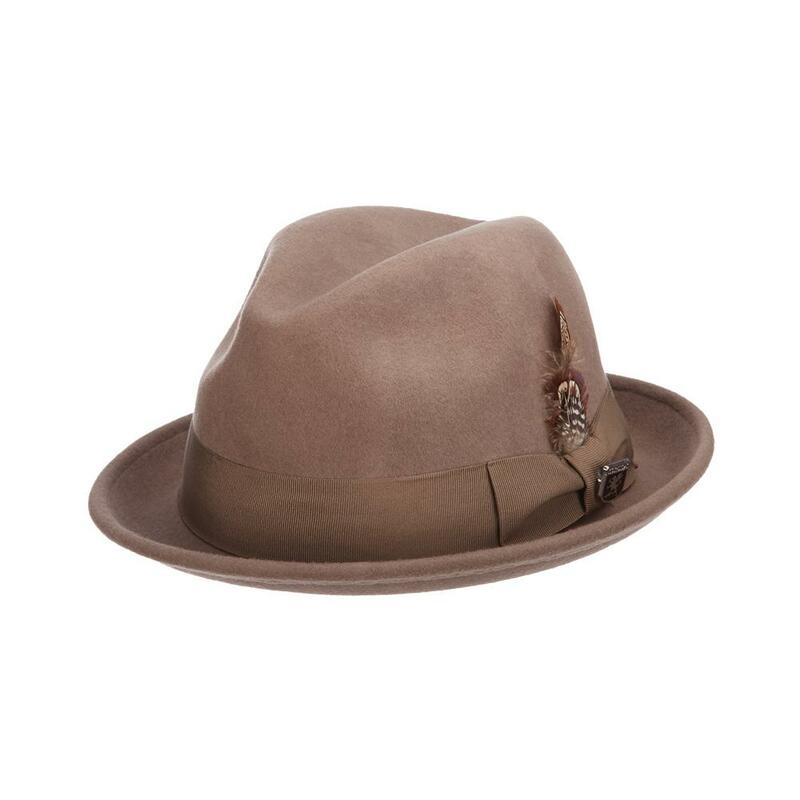 Winter, spring, summer, or fall, the St. Pierre wool felt fedora is an eye-catching yet understated essential that you can dress up or dress down. The hand-drawn trim is unlike any other hat band you'll see while the 2 3/4-inch wide brim offers solid sun protection. This is a must-have for both men and women. 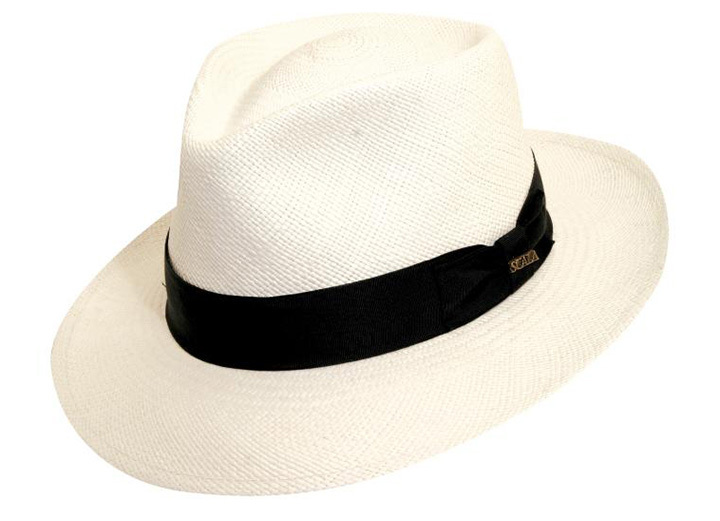 This panama hat from Scala is a sophisticated classic that will instantly amp up any wardrobe. 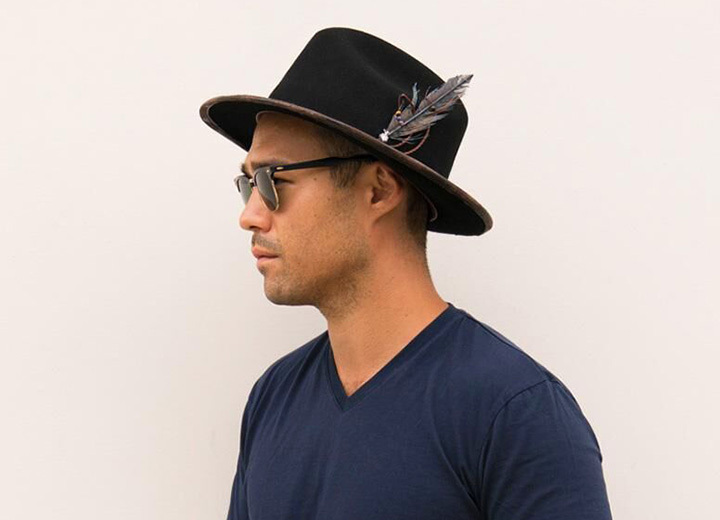 Proving that straw hats can be as dressy or as casual as you want them to be, this meticulously crafted headpiece features hand-woven straw from Ecuador, a 2 5/8-inch brim, grosgrain hat band, and a twill sweatband that will keep you looking and feeling cool all year long. Whether your personal taste leans toward a homburg or a fedora, the bottom line is that you want to feel confident and comfortable with whatever you choose. In fact, why not try both? 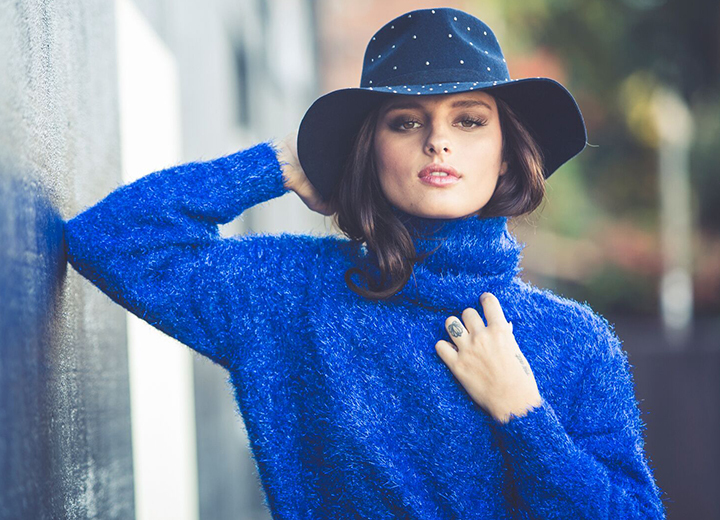 Changing up your look with a stylish hat is both a fun experiment and exciting experience, so go for it. You're worth it. For even more ideas, browse our selection of similar styles including pork pie hats, bowler hats (also called derby hats), and wide-brim hats in different materials.